Goat Studies is a photographic and video work. 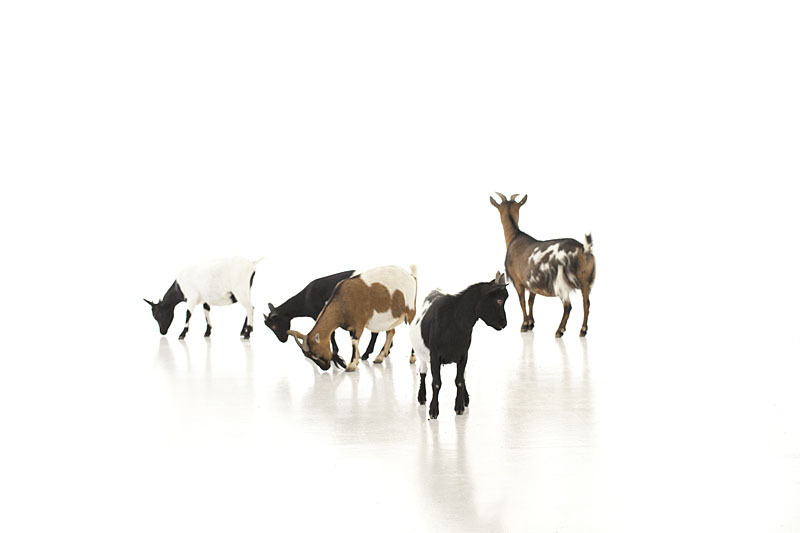 A small heard of goats is released into the centre d’art Neuchatel. 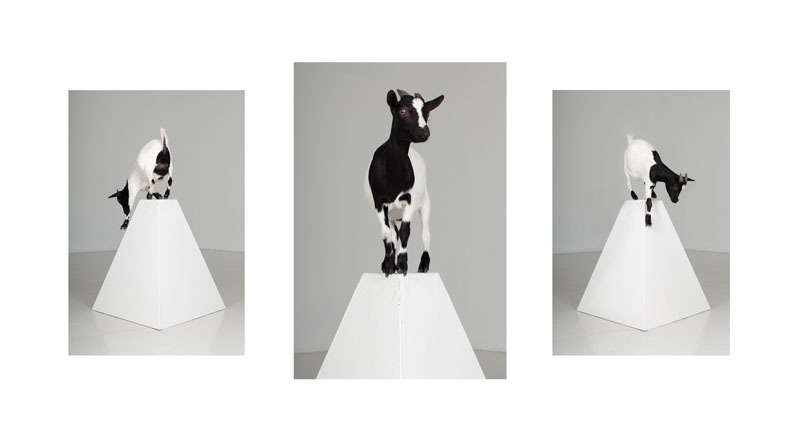 A small heard of goats is released into the centre d’Art Neuchatel, a plinth is placed in the space, one goat stands on it. 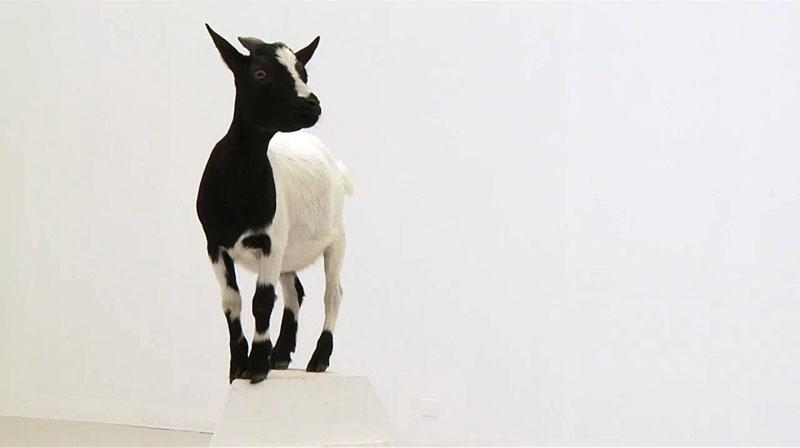 A goat stands on a triangular plinth whilst a camera circles around. A goat is photographed standing jumping from a small triangular plinth. A Goat Stands on a wedge shaped plinth in a green mountain pasture.